View basket “TWO HANDLED BAKESTONE” has been added to your basket. 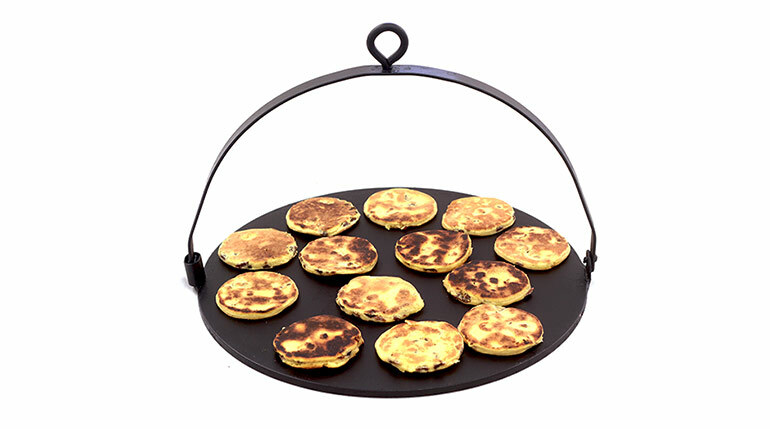 A traditional (very long-handled) Historic Open Fire Baking Plate / Griddle, from an original old design, which is used to bake authentic and historic regional recipes on. 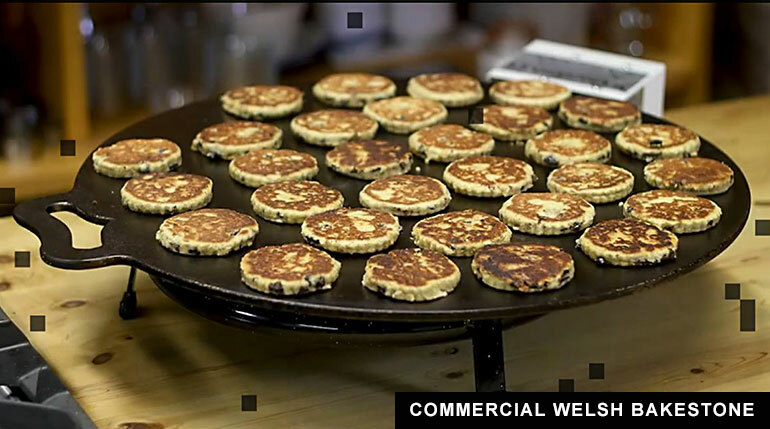 This type of very long-handled griddle was found in all the regions of the UK from before the middle-ages onward and it was used in the great houses and in the army camp-sites to bake over open fires. 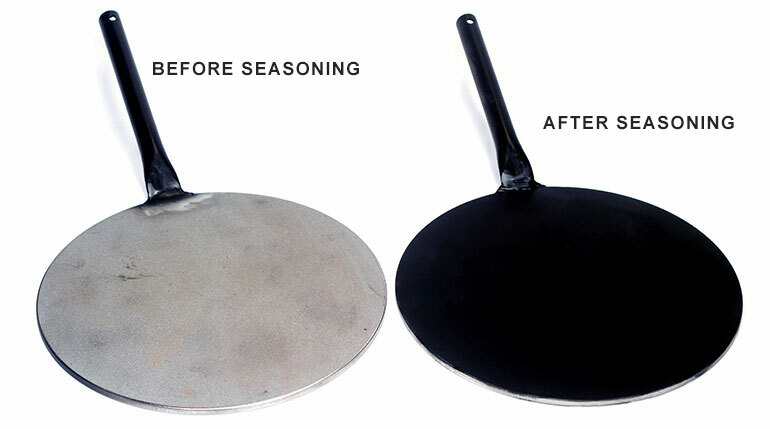 Nowadays this type of historic cookware is popular with re-enactors on the battle fields as it replicates the type of baking plate that would have been seen in army camp fires for several hundreds of years. 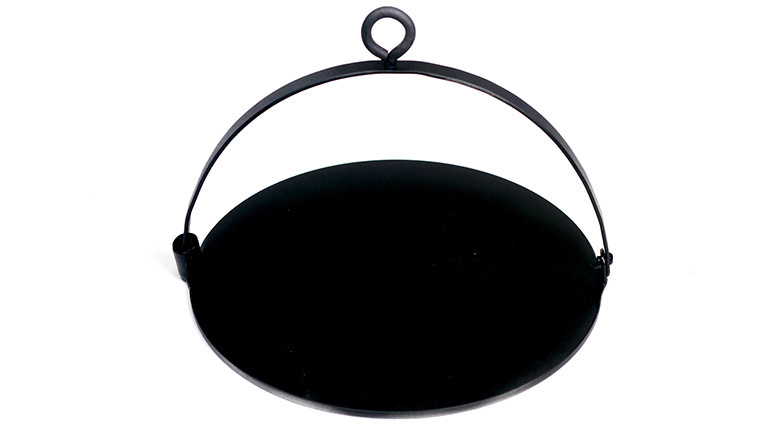 It is also great for demonstrations and historic homes, as a great open fire BBQ bake plate for domestic use, and as a talking point if you have a big Inglenook fire place. 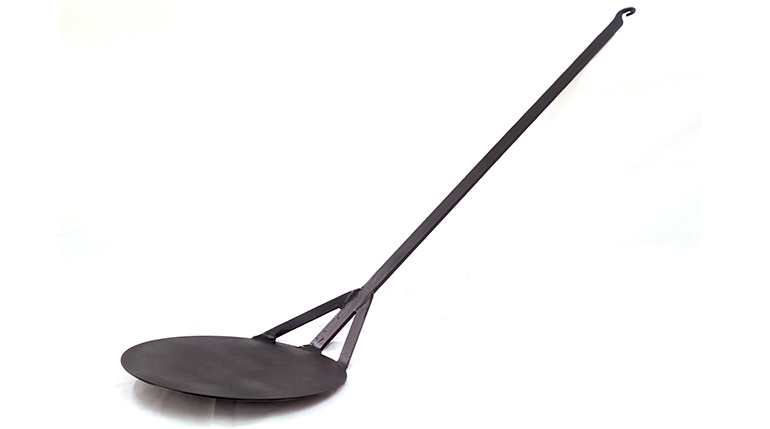 Length of handle : 31 inch / 79 cm. 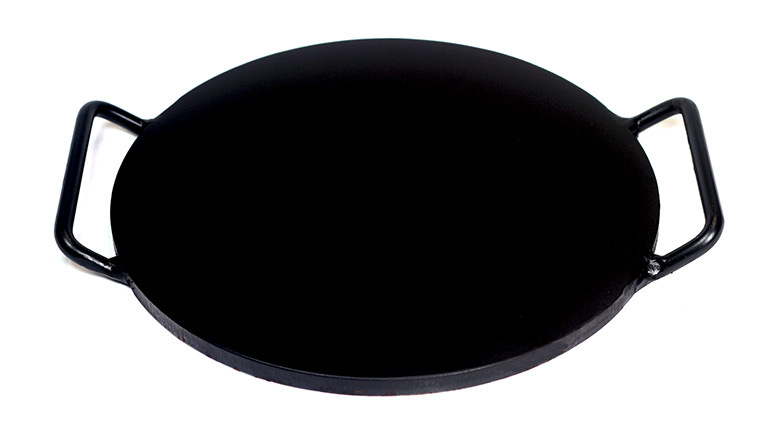 The plate is 10 inch / 25 cm in diameter. 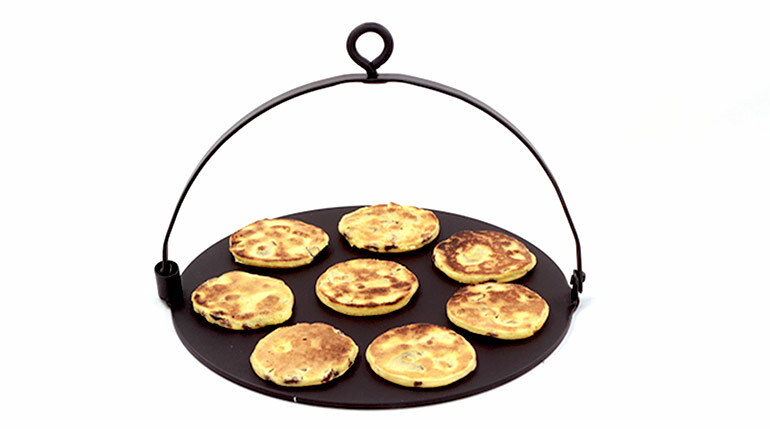 A traditional very long-handled Open Fire Griddle like this is used to bake authentic regional recipes on, such as flat breads, honey scones, griddle cakes, pies, pancakes, and biscuits etc. on an open fire Please see ‘How To Season Your Griddle‘ for information on caring for this item. 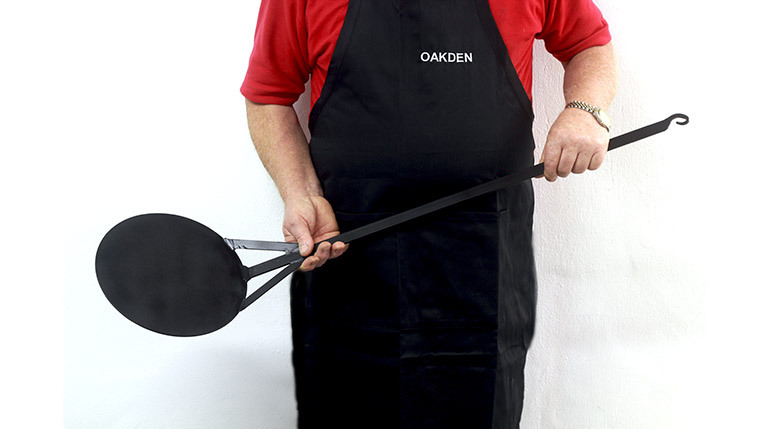 This hand-made reproduction, made from an original old design, bakes the authentic recipes perfectly and it is used over an open fire with a ‘fire dog’ to sit on whilst balanced with a forked-stick – or simply held in place over the heat (wearing protective gloves). Note: this is a heavy item – 11lbs / 5Kg.